DRIVE CHANGE: We turn your old vehicle into great advocacy! 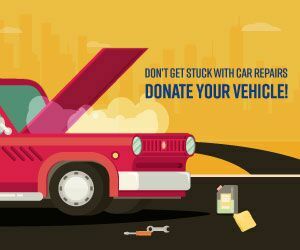 Our vehicle donation program is an easy way to support Western Center’s work advancing economic and racial justice for low income Californians AND get a deduction on your taxes. 1. Just complete and submit the form below or call toll-free (855) 500-RIDE (7443). 2. We’ll arrange to pick up your vehicle, get you a donation receipt and you will be able to deduct the gross sales price as an itemized deduction on your income taxes. Western Center partners with Charitable Adult Rides and Services, a San Diego based 501(c)(3) nonprofit organization, who operates the vehicle donation program and also benefits from this donation. Western Center receives 80% of the revenue generated from the sale of vehicles, excluding transport, auction and title transfer fees. Click here for FAQs about the vehicle donation program.